January is looking like it's going to be a month just chock full of Kickstarter campaigns. And Modiphius is tossing their hat into that ring with their upcoming John Carter of Mars campaign. 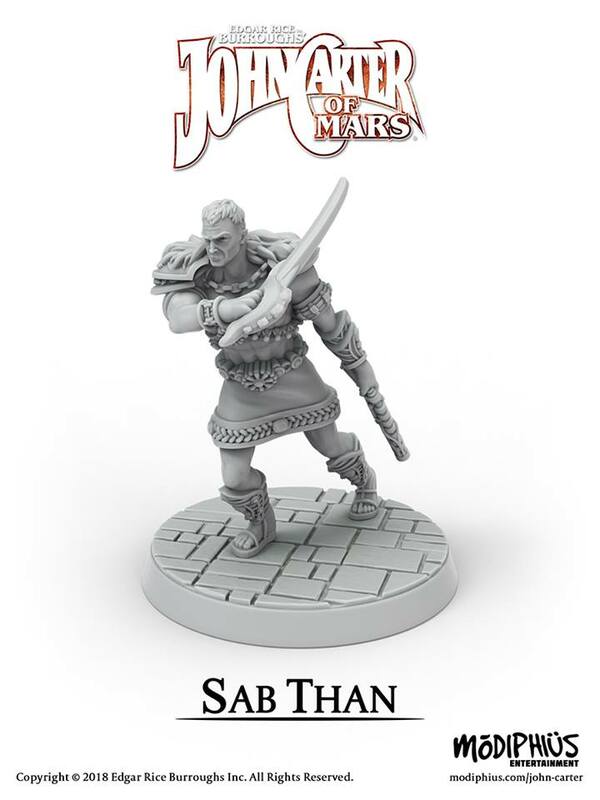 In this preview, they give us a look at the miniature for Sab Than. After Santa Claus, he's the next biggest threat to conquering the Martians. The prince of Zodanga, Sab Than is scheming against Helium, who will stand against him! The John Carter of Mars Kickstarter launches midday GMT on Tuesday 9th Jan.